From us to You for You - Four new beauty box collections in one day! Naissance are unveiling all new handmade’ by you’ beauty boxes, packed full of natural oils specially selected with you in mind. Our new face serum boxes are packed full of nutritious oils, especially packaged together for you to combine and make your own face serum for your skin type. New and wonderful just like you. 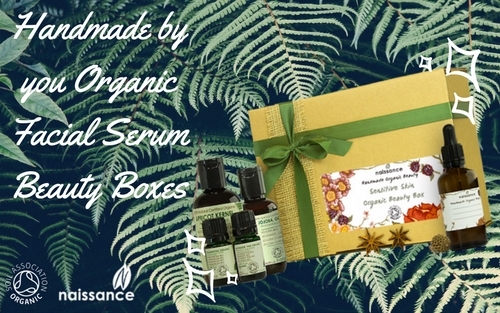 We’ve created four NEW organic make your own facial serum beauty boxes. We’ve specially selected the ideal combination of natural oils for you to combine at home and make your own facial serum for your skin type. 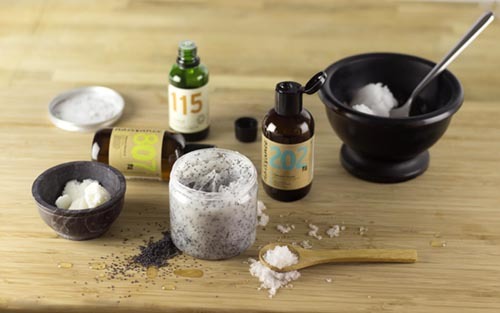 There are many products which use the benefits of natural oils, but they often have preservatives and other chemicals to make them last longer. Because you will be making your serum at home, you can make as much or as little as you need so there’s no need for preservatives or any other nasty chemicals. All you and your skin need are these natural essential and carrier oils. If you like natural cosmetics and beauty hacks, you’ll love these bespoke face serums. Just choose the one that’s right for your skin type. We’ve created a specifically designed organic beauty serum box for those with dry, oily or sensitive skin and for those who would like a firming and anti-ageing serum. Each box contains a carrier oil, a premium oil and two essential oils which have been chosen because of their benefits for your chosen skin type. 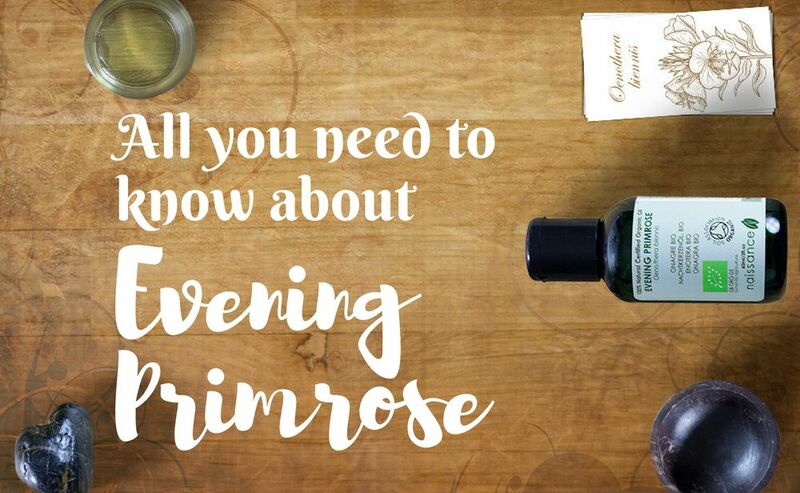 It has been said that Apricot Kernel Oil encourages regeneration of skin cells and collagen production to help reduce fine lines and wrinkles., Rosehip Seed Oil is well known for helping improve the appearance of skin tone and scars. Frankincense and Geranium Essential Oil may help reduce the appearance of age spots and even out skin tone. 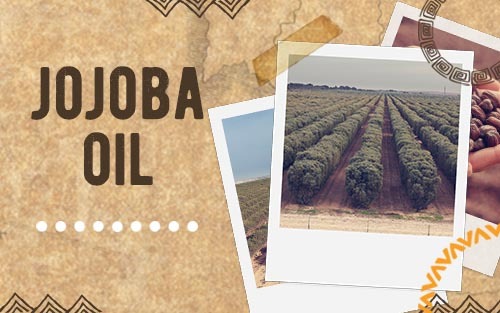 Grapeseed and Jojoba oil are an excellent base for oily skin as they may help regulate the natural oil production of your skin, tricking the skin into thinking it has produced enough oil, while moisturizing and nourishing. Combined with the antibacterial and healing properties of Grapefruit and lavender this is the perfect combination of natural oils for those of you with oily skin. Avocado oil is a great base for helping with dry skin as it may help treat dry and itchy skin and has a reputation for penetrating the epidermis more than other carrier oils. Combined with Pomegranate Oil, which helps create lasting and healthy moisture and the hydrating and skin balancing properties of Palma Rosa and Ylang-Ylang, this is the perfect combination of natural products to make a bespoke serum for your dry skin. Each beauty box is beautifully decorated in natural, elegant ribbons and hessian. All our packaging is reusable or recyclable. 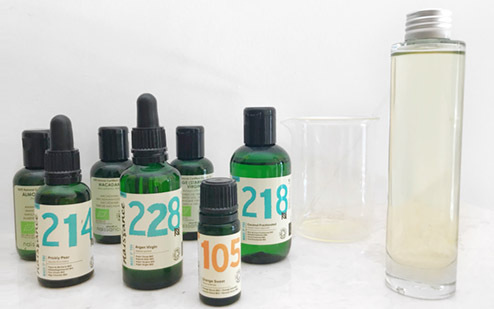 Of course, as with everything at Naissance, nothing is tested on animals and all the oils are vegan friendly.